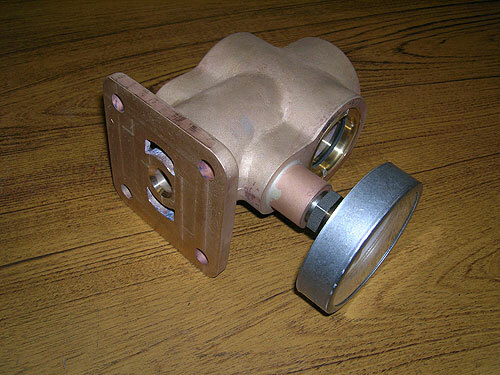 Pattern and core boxes for brass valve, designed and built by United. 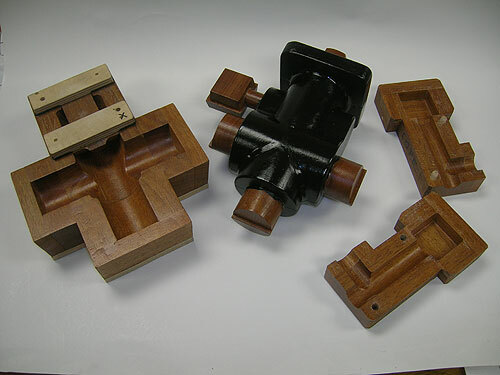 United Industries, Inc. can produce an exact replica of your part to make a cavity mold. Patterns can be produced in wood, metal or plastic for any casting process. We are not limited by size, amount of detail or tolerances. At United, our patterns are precision designed and crafted to produce accurate castings which require a minimum of machining and finishing. From a Hand Drawn Sketch to Reality: Using metals, plastics or wood, we'll turn your idea into a usable, useful part. Save Money through Practical Insights: After 50 years in business, we provide the wisdom of practical experience. Save money. We'll do it right, the first time! 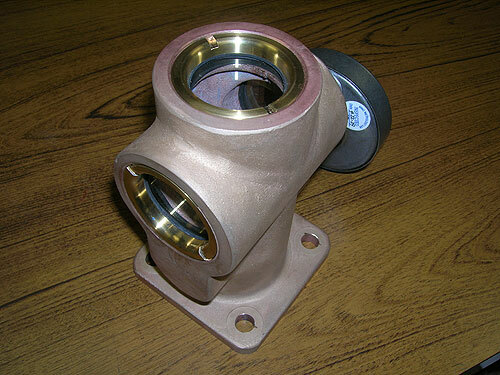 Completed valve, cast brass, machined and assembled by United.